History begins to quicken with May Day demonstrations on the streets of 150 US cities and towns as well as massive demonstrations across Europe. Most of these were peaceful protests against the encroachment of government corruption aided by a creeping corporate hegemony that would slowly, inexorably take away individual freedoms, suppress the means for the dissemination of free speech across the world: the Internet. The demonstrators may or may not yet completely grasp it, but they are pitted against those in power and especially those in the shadows of power intent to bring about something that I have warned for 20 years would start happening now: the return of Fascism with a new face. Since the mid-1980s, I have often written that the receding paternalistic influences of the Piscean Age in the early 21st century would not see a reprise of a new father-dictator-Führer, best represented by Adolf Hitler. Fascism will rise again in the dawning years of the new, Aquarian epoch with new face, a new motto. It will come in the guise of murky plutocrats and call itself “emergency rule”. A new corporate aristocracy pulls strings of politician puppets. Governments submit to oligarchs that make money talk. Plutocratic monopolists do the talking and the leaders of a political duopoly in America with “Democrat” and “Republican” labels and a big-business activist US Supreme Court do the taking away of your freedoms. The Supreme Court with its Citizens United ruling in 2010 have already taken citizenship away from human beings and given a legally binding and false mask of humanity to multinational corporations. These citizens are far more equal then you or me possessing profoundly deep pockets to fund their bribery and do what they plan to try next. Corporations as citizens now buy this election cycle in the US making money synonymous with free speech in 2012. The new global threat of Fascism will not be born again in Germany, but in the United States. Yet, the push from the top has generated a shove from the masses. Protest and demonstrations are having a significant escalation all around the world. Millions pour onto streets on foot and stream ideas and video on Facebook page stream their ire and concern. They document police abuse; they tell their story as the corporate media is paid to look elsewhere. The young are awakening to their future being threatened, their Internet communities besieged by SOPA, ACTA and the newest lightly veiled attempt to silence Internet commerce of ideas in the name of preventing piracy, CISPA. The US House of Representatives recently passed it. Now the Senate might do the same. President Obama threatens to veto the bill. Will he indeed? The corporately neutered journalism of the mainstream media likes to fixate on 30 to 40 anarchists with pointed sticks crashing glass facades of banks and a Nike shoe store in downtown Seattle on May Day last Tuesday. The media’s will to report conflict rather than balanced presentations of both sides, of facts, continues to fuel the momentum of a cretaceous exodus of viewers away from television news to the Internet. There you will find real citizens of flesh and blood organize their demonstrations, gather real news about the world passed by the speed of light from one living citizen to the next. These cyber protesters and online news watchers must unite now, against the abstracts of Fascism, the human faceless corporation, the enabling establishment and save their affordable college tuition, their health care, their social nets, their future. In 2012, the 99-percent movement becomes the 99-percent revolution where Americans might go back to the future experienced the previous year by Egyptians in their Arab Spring awakening. A new American Revolution, like the Egyptian, might stagnate only to have regime figureheads fall but the oligarchic machinery of the Demo-Republican regime continue. Whether what began in 2011 as peaceful street protests become violent to the point of open and chaotic conflict with a heavily armed populace a few years hence depends on American CEO’s and their leashed leaders listening to the led. In the previous chapter the Oracle commented on the Euro banking crisis in a subsection entitled, “The Decline and Fall of the Euro-man Empire.” What I wrote six months ago bears some reflection as this coming weekend will see the French people go to the polls in a runoff election which will most likely unseat President Nicolas Sarkozy and send him into the political “low lands”. I am not sure if it is a good omen that the next president of France has a name that in Dutch means “low land” (François Hollande). The Socialist candidate will be France’s next president. That is my call for those French and European readers asking me to break out of the box of predicting only US presidents and call the winner of the most significant European election of 2012. 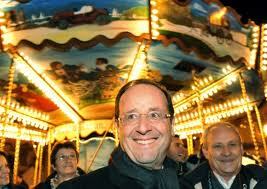 Hollande enjoying the merry-go-round of French politics. Greece, like France, is also having an election this weekend. Both outcomes will give the euro crisis a big shake, because François Hollande will win by a narrow margin, breaking the “Merkozy” cozy alliance of Sarkozy and Germany’s Angela Merkel promoting austerity over growth in the European monetary union. Greece will elect a new government, which might set in motion their economic default on the debt and ultimate abandonment of the euro for the drachma this summer as I documented in my forecasts for 2012. In France, Hollande can thank Marine Le Pen for not sending her extreme right wing National Front voters to save the center-right Sarkozy camp by not endorsing the last two candidates standing. She is shrewdly playing her French chauvinistic cards in a longer game than her father Jean-Marie Le Pen did when a decade earlier President Jacques Chirac got a scare from the right when “daddy” Le Pen found himself in a runoff election with incumbent Chirac. The protest vote had Chirac display public contrition, shifting his policy promises rightward to save his run-off election attempt for a second term in May 2002. 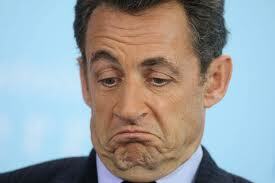 Marine Le Pen will not help Sarkozy squeak by. She aims to let the socialist win and consolidate the right of center vote her way when five years of socialism turns the French people sour. Look out for Le Pen. Her neo-Fascist leanings have a soil and negative climate of discontent that double-dip European recessions tend to create. Economic declines and the sharp incline of unemployable millions, many of them legal and illegal aliens, are fertile ground for politicians that like to simplify problems down to scapegoat goading, racism and nationalistic bating of the EU. You will see her party perhaps eclipse the fallen center-right party of Sarkozy – the UMP (Union pour un Mouvement Populaire) or Union for a Popular Movement in the coming five years in what could be her serious run for the presidency in 2017. She rides the rising Nationalist right-wing ascent in France, in Holland – even the Neo-Nazi Greek party “New Dawn” this weekend will win seats in the Greek Parliament for the first time. Nationalistic protectionism is coming to Europe and as I predicted last year, the dream of a European Union will be for a time in retreat. Austerity policies of British Prime Minster Cameron are failing, as I predicted in Predictions for 2011. The world’s economic problems need a balance of investment in the future and cuts of programs and waste tied to habits dragged along from the fossilizing past. Balance is the solution, but tell that to the habitualized human mind, programmed to see any challenge in an either-or, black-or-white, right-or-left polarity. Defining oneself in conflict and separation from that which is opposite is the food of egos and not the manna of wisdom and compassion that is harmony and balance. The human mind also is lulled by euphemisms from on high. This week we are told that Britain has officially fallen into “double-dip” Recession joining Italy and Spain. Double-dip is a whole lot of propaganda from “double-dip-sh*ts”. When you hear some prime minister or news anchor tell you a country has slipped into double-digit territory that is baby talk for the “D” word they think you cannot handle. For instance, Spain now has 36 percent unemployment. The last time the Spanish had 36-percent of the workforce on the dole and seething in massive protests on the streets from Madrid to Barcelona was in the early 1930s, right at the beginning of the “big D”, the Great Depression. Remember also, that back then, under 36-percent unemployable economic strain a rise of Fascism overtook Spain. A Fascist government ran Italy too. At 24 percent unemployment, Italy today is also hovering very close to Depression level numbers. One must note that far larger and more violent incidents between police and demonstrators disrupted Tuesday’s May Day demonstrations in Spain and especially in Rome, Italy. Economy “double-dips” breed social instability. 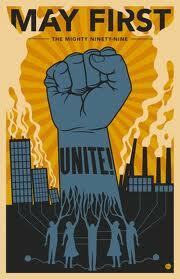 Social instability breeds extreme measures and movements; either leftist or fascist right overtaking governments. 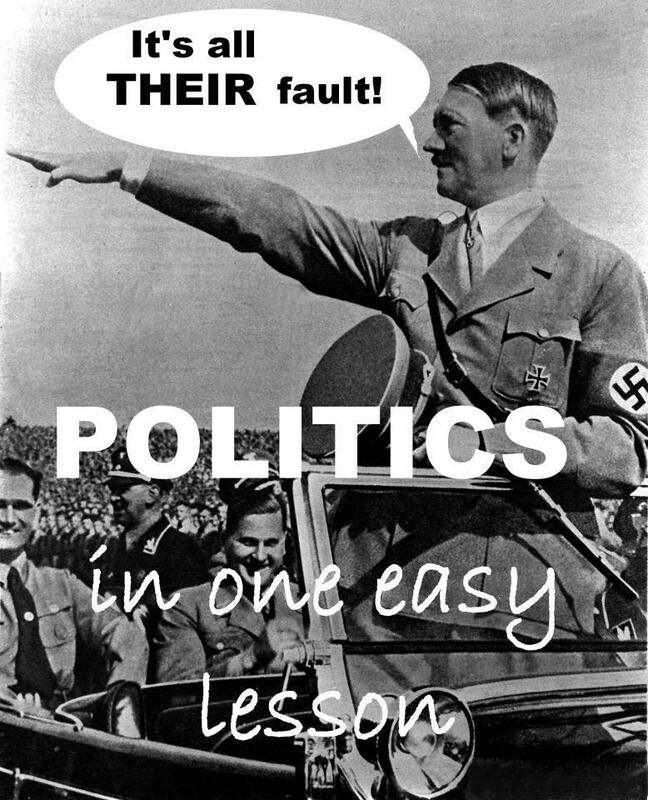 Extremists begin to fill the seats of European parliaments as fast as you can say “Reichstag!” before a Nazi given power can set it on fire and blame it on terrorists, enabling the next Hitlerian dictatorship. Hitler also came to power with the help of big business oligarchs. German corporate moguls in 1933 bankrolled a coalition government that appointed him Chancellor of Germany. A few weeks later, the Reichstag (German parliament) burnt to the ground. Hitler’s henchmen burnt it, but he successfully blamed the dastardly act of Germany’s 9-11 terrorist moment on communists and gained enabling emergency powers that made him dictator – powers that sort of remind me of the US Patriot Act. People quakes often coincide with earthquakes. Expect Europe to experience a very large, politically seismic event this weekend. Blame it on the Moon if you like. 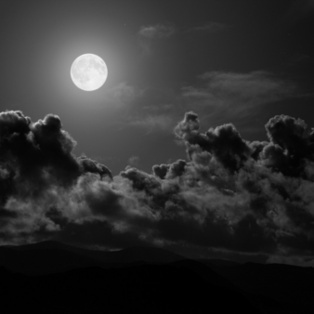 The full Moon of 5-6 May 2012 is a perigee Moon. In other words, it is swelling to new loony lunar fullness, nagging the tides and tectonic plates of earth prone to quake and perhaps pressing water on the brain of the collective human psyche as full moons are known regularly to do for hysteric effect. 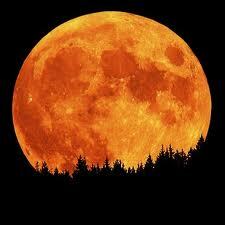 This Full Moon will be 14 percent bigger and 30 percent brighter than other full moons of our Maya-manic year 2012. The air, sky and earth in darkness and trouble. The Sun regularly passes through the twentieth degree of the sign of Taurus on May 10-11 each year. Thus on some unlucky May anytime from the present one to when Nostradamus tired of dating his history of the future beyond the year 3797, some 1,784 May months from now, expect a superquake so huge that a great theater or coliseum full of thousands will collapse. There will be a temblor so terrible that atheist will cry “Uncle!” and unbelievers will call upon the Lord and his Saints for succor. Some people thought it would happen in Los Angeles in May 1983 because the quatrain indexing can sometimes hide a date, as in 9 Q83 meaning (1)983. Well nothing shook of significance on that day. The phrase air, sky and earth in darkness and trouble can be a more localized description of what vast quakes can do. Take for instance the cell phone films shot just moments after a quake destroyed Port-au-Prince in Haiti killing 330,000 in January 2010. The freshly raised ruins and the cries of thousands of injured and frightened survivors were shadowy images and discarnate cries wafting out of a giant, dark cloud of dust mushrooming into Haitian skies. What then if Nostradamus’ description of troubles in air, sky and land are meant to be more general? What if the troubles denote a time when there is heightened seismic activity all around the world, such as in our times? What if “trouble in the air” is that of rumors of fascist takedowns of freedoms? What if a troubled air and sky denotes plumes of global warming pollution and an oncoming climate shift? Would this line not frame our time in May as the IT month for this prophecy? This May for a few Mays hence might best describe the darkening course of leadership along with our ecologically troubled planet and atmosphere quite well. Add to this contemplation of the unthinkable: the Super Moon this weekend, passing through Saturday’s skies just four days prior to the 10-11 May window of this prophecy. Right now, Mount Etna in Sicily is sputtering down from its seventh eruption this year. The great Mexican volcano Popocatepetl on the outskirts of Mexico City started billowing again this week with significant ash plumes and uncorroborated initial accounts of fires emerging from its base – perhaps a sign of new lava vents or the result of falling lava bombs upon the grass. Mexico’s central and west coast provinces of late have been rocked by significant quakes with a 7.4 in March and a 7.1 in April, Both sent thousands out of rocking towers of Mexico City running into the streets. Will the Super Moon this weekend cause more of this either on Saturday or Sunday or several days later on 10 or 11 May 2012? Uranus is doing a whole lot of squaring in 2012 with earth sign Pluto in Capricorn. That usually induces “seismic” events in politics and economy; shake ups of economic crisis and social revolutions. No one should rule out a literal earthquake a few days in or out of Full and New Moons of May through November 2012 bringing volcanic eruptions in Alaska, Antarctica and especially a resumption of great ash cloud belching volcanic events in Iceland. There’s a mysterious interaction between natural and human upheavals at the end and beginning of ages as if one begets the other. Brace for a large quake in early May with the Scorpio Full Moon in the most powerful of Sun-Moon oppositions of the year. The New Moon has an annular solar eclipse on 20 May – chance for Japan’s tectonic plates to erupt at the mouth of Tokyo harbor. Also late May 2012 will bring the eclipse over the Northern Californian region. I went on to write that other seismically vulnerable regions such as Southern California, Los Angeles and San Diego might watch the full moon of 6 May through to the eclipse on the New Moon (20 May) for potential large scale quaking. May-to-November 2012 is a large window opening in time for seismic and volcanic activity. The May Full Moon opens it and the window will not close until the next spate of Uranus in Aries Squares with Pluto in earth-quaky shaky Capricorn starting in late May through November spend themselves punctuated by this year’s total eclipse casting a shadow across the Southern Hemisphere on 13 November 2012. Odds are in favor of May 2012 coming and going without stadiums collapsing somewhere on Planet Earth and suddenly converted unbelievers bleating for God’s salvation. When one has so many months of May from 1558 to 3797 to see a quake take down a city and stadium full up with people, there is a good chance that at least one out of 2,239 Mays other than this one will win the “Mayday!” disaster sweepstakes. I will not concern myself too much this Saturday about the Moon’s ability to shake us up. Rather, I will celebrate the Moon’s part in aiding the enlightenment of individuals. It is said the Gautama Siddhartha attained to enlightenment – Nirvana – on the night of a May Full Moon sometime back around 500 b.c.e. Through Nirvana, he became the “Buddha” or the “Awakened One” said to be liberated from the misery-go-round of birth and death. 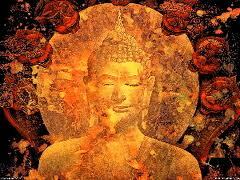 Siddhartha was also born on a Full Moon night in May and it is said he attained the great release into “no-thing-ness”, the Mahaparinirvana state, when he passed away at the age of 84 while reclining on the grass before his disciples bathed in the light of a Full Moon in May. 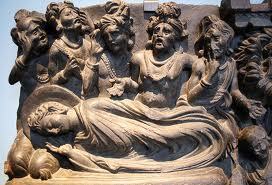 The death and Mahaparinirvana of Buddha. 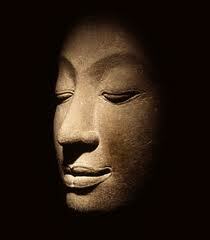 His last words in Pali were, Appo deepo bhava. I invite you to celebrate the Buddha Full Moon with me Saturday because in silence there are no distances between you and I. No “faraway” of geography, no frontiers of judgment and programmed prejudice of mind to cross. Just close your eyes and you are there with me, bathed in the inner moonlight. 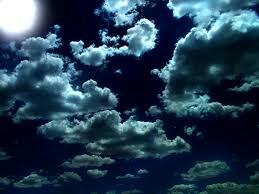 Meditation is my way to the white moonlit clouds. They float in skies of starlight with no goal, no direction. They flow. They play. Forms changing to new forms. They come from nowhere. They are present one moment and vanish into only one sky the next. From nowhere to NOW-here they go-lessly go. If your heart wishes it, I can share with you the meditation techniques from a master of the way of white clouds. Just Contact Me. 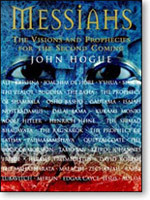 Read more about the Buddhist prophecies of Maitreya and prophecies about the next World Teacher as viewed by 33 messianic traditions, Eastern, Western and Native, click on Messiah. 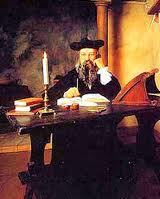 Read Nostradamus’ complete prophecies by clicking on Nostradamus. 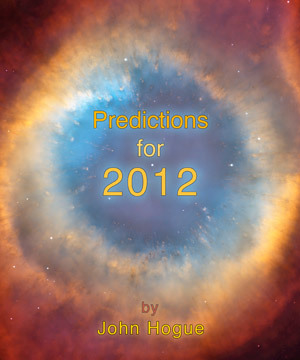 Read about upcoming new Hogue e-Books, click on Nostradamus 2012. Join the free newsletter, Hogueprophecy Bulletin, here.